This post was a draft written more than three years ago. I never got around to post it. I think the time is right. 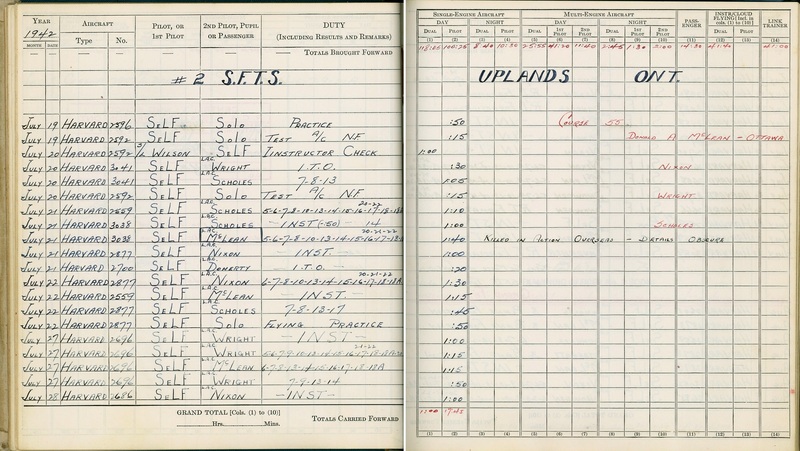 I wanted to go through every page of Walter Neil Dove’s logbook that his grandson had scanned for me a few years ago. His grandfather was an instructor before being posted overseas. That’s what I had been planning to do before someone else had shared all those pictures from his grandfather’s collection of WWII pictures. I had wanted to share everything that I could find like what I had written about LAC McLean and LAC Seid on this blog. This picture was taken from this scanned image. This is the reverse side of every picture. These images were unique and Greg was sharing them through this blog about the BCATP. You can use them, but I will ask you to give credits to Greg if you do. 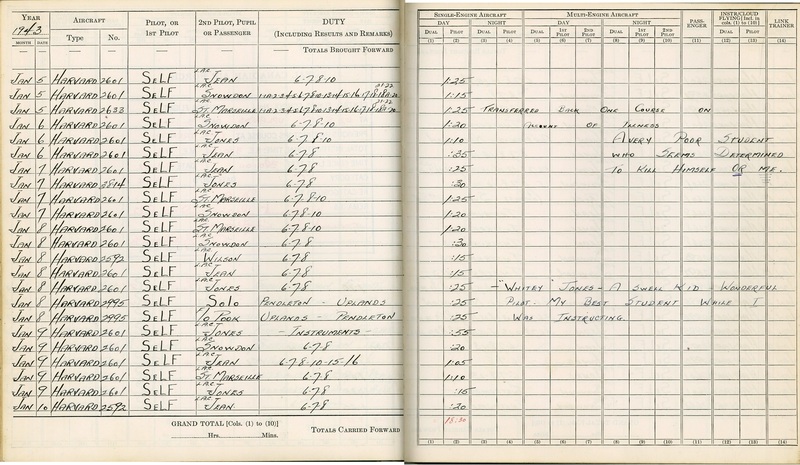 The reason I write this blog is to find relatives of all those who appear in the logbook pages and on the pictures. I will try to post only once a week, but I can’t promise anything because sometimes people share so much it’s hard to keep up. This being said, here’s the first post about the logbook and the information it contains. The first page shows four student pilots from Course 55. LAC Donald A McLean died in the war, and I wrote a post about him. 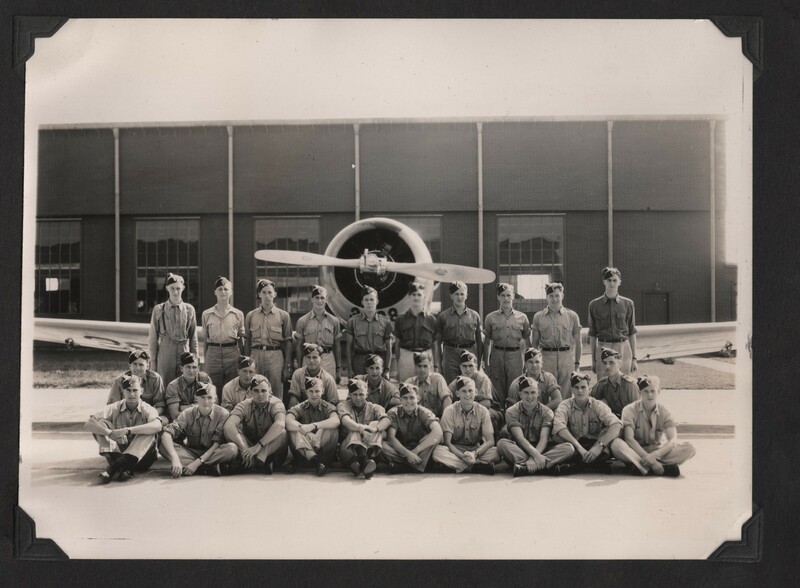 The three other student pilots likely survived the war because flight instructor Dove would have added a note. This is what he did with most of the airmen who died in WW II. LAC Nixon and LAC Wright might be hard to find while LAC Scholes might be easier. There is a pilot with this name that might be him. As a ghostly reminder of a long forgotten chapter in World War II history the wreckage of the flying boat sits in the coastal scrub forest near Tofino on Vancouver Island, B.C. Some shreds of fabric hanging down from the aircraft’s ailerons and tail gently move in the breeze. The faded number 11007 near the tail identifies it as the Consolidated Canso that crashed here just before midnight on February 8, 1945. This Royal Canadian Air Force (RCAF) Canso was just one of several that went down along British Columbia’s rugged and remote west coast. Some crashed in the dense coastal rainforest, while others have never been located and presumably crashed somewhere over water. What makes the remains of RCAF 11007 (msn CV 285) unique is that the wreckage of this aircraft still sits in the same place where it crashed 60 years ago. This despite the fact that it rests not far from a well-travelled highway and inside one of Canada’s most popular national parks. Fearing a possible invasion by the Japanese, the Canadian military constructed radar stations and military defences all along the pacific coast. A fleet of patrol bombers were constantly on the lookout for enemy submarines and paper balloon bombs sent over with prevailing westerly winds. 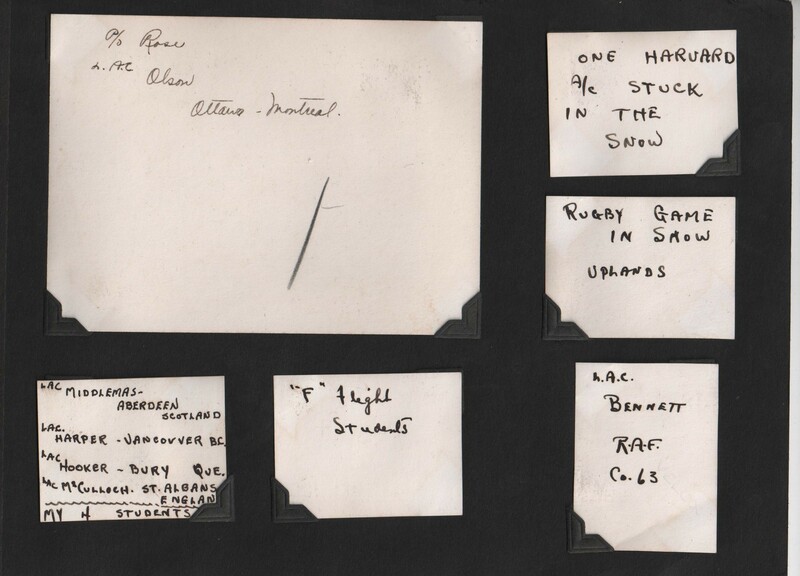 On February 8, 1945 around noon, Canso 11007 had left Coal Harbour and flew to Tofino. The weather was quite blustery by the time they landed at this RCAF Air Station on the west coast of Vancouver Island. Several crewmembers then drove to Ucluelet to pick up some engine parts and spent the early evening hours in the Tofino Mess. 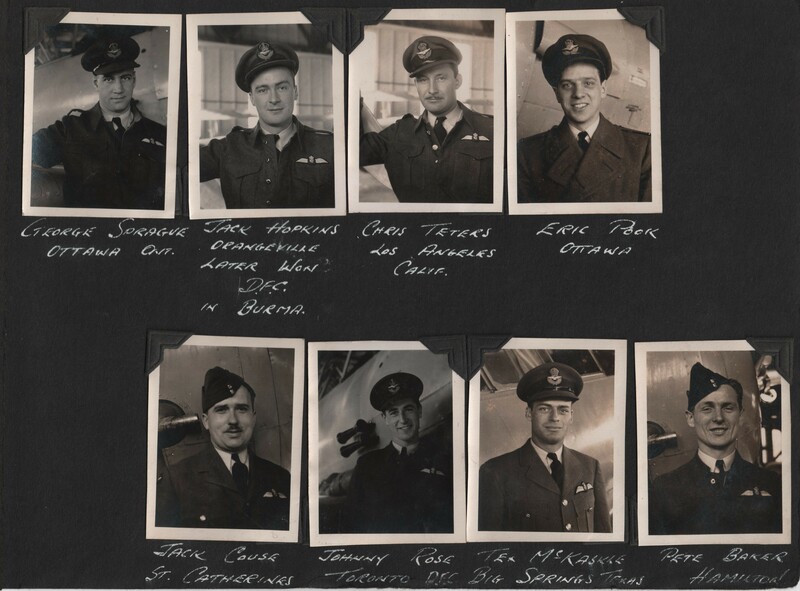 Later that day at 2300 hours, the aircraft left Tofino on a routine night patrol on its way to Coal Harbour, the next reconnaissance station further north along the coast. 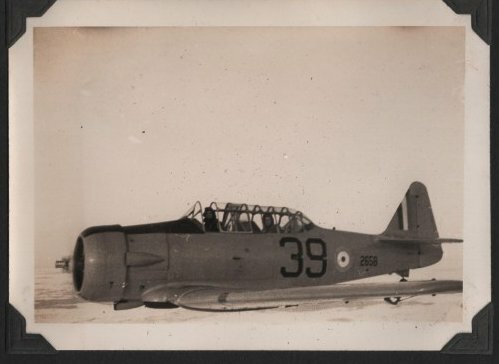 On board the aircraft were 12 personnel, including one WD. (WD, the abbreviation for “Women’s Division” also became the universal nickname for female members of the RCAF). Besides its normal emergency gear and a full load of fuel of about 750 Gal. (3,400 L), the aircraft carried four 250-pound (112.5kg) depth charges. Almost immediately after take-off from runway 28, before the radio operator even had time to send a routine message, the aircraft’s port engine quit. An attempt to turn back to the airfield failed. While making a 180-degree turn the aircraft lost altitude and started skimming some trees on the edge of a plateau rising up into a hill. The pilot, F/O Ronnie J. Scholes later said that they were too low to turn and could not gain altitude so he decided to land straight ahead. Scholes managed to slow the plane by pulling it into a full stall landing at impact. He then skillfully pancaked it into the bottom of a heavily wooded hillside only a few miles from the airport. If the aircraft had touched down a few seconds earlier, it would have ended up in a soft open bog with only a few scrubby pine trees. More on this plane crash here. But sometimes his comments tell a lot about other student pilots… like “Whitey” Jones. These names were found on this Website, and they have to be on this group picture. Four are identified. I could only find information on Sid Seid. Sid Seid’s name is found back of the group picture. 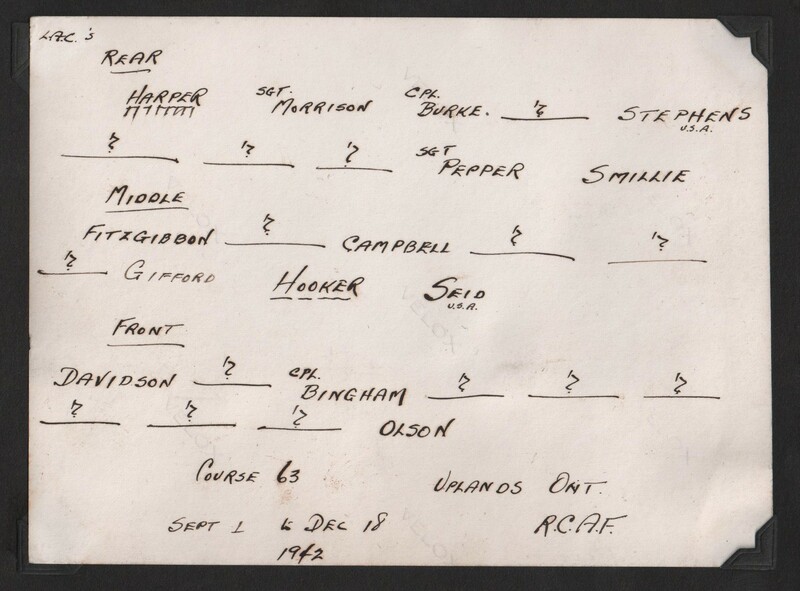 ROSE, F/L Richard John (J12271) – Distinguished Flying Cross – No.150 Squadron – Award effective 6 March 1945 as per London Gazette of that date and AFRO 625/45 dated 13 April 1945. Born 1923 in Toronto; home there (clerk). Trained at No.1 ITS, No.3 EFTS and No.1 SFTS. Commissioned 1942. This officer has completed numerous operational missions and throughout has set a fine example of devotion to duty. 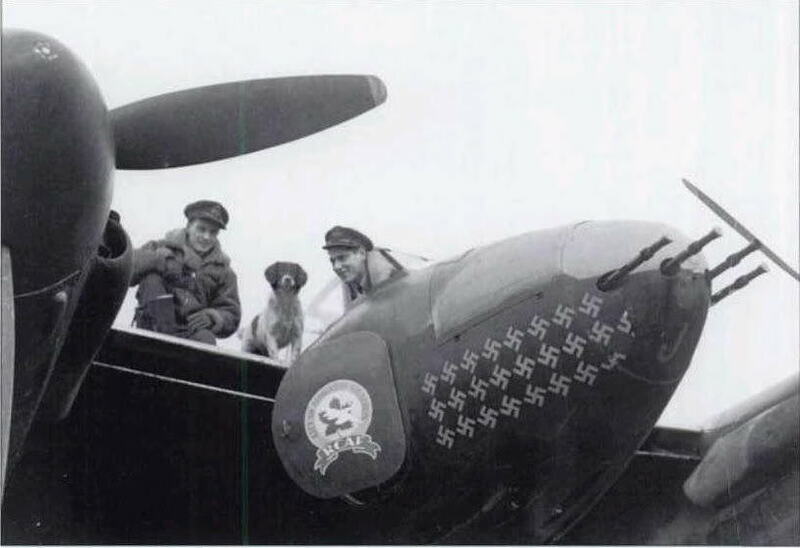 One night in January 1945 he piloted an aircraft detailed to attack Munich. Some distance from the target the aircraft sustained damage making it difficult to control. 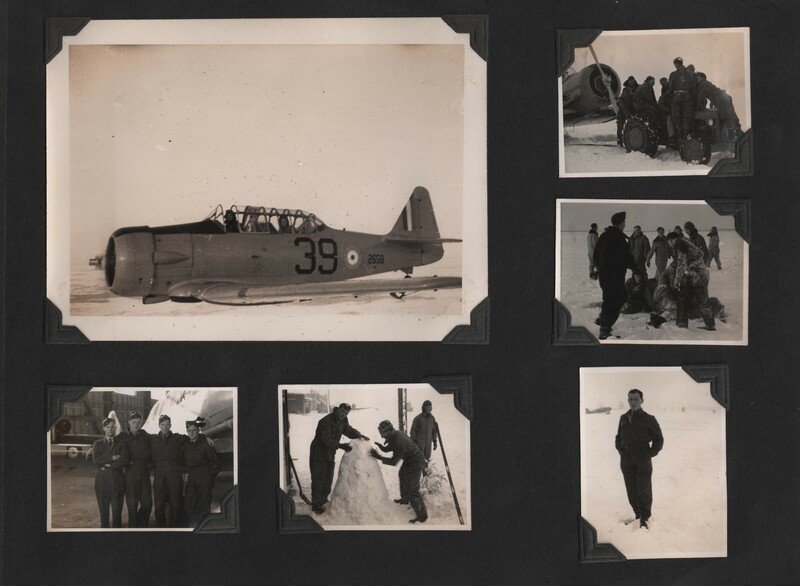 In spite of this, Flight Lieutenant Rose continued his mission. Later the port outer engine failed. Height was rapidly lost and the aircraft came down to 1,000 feet. 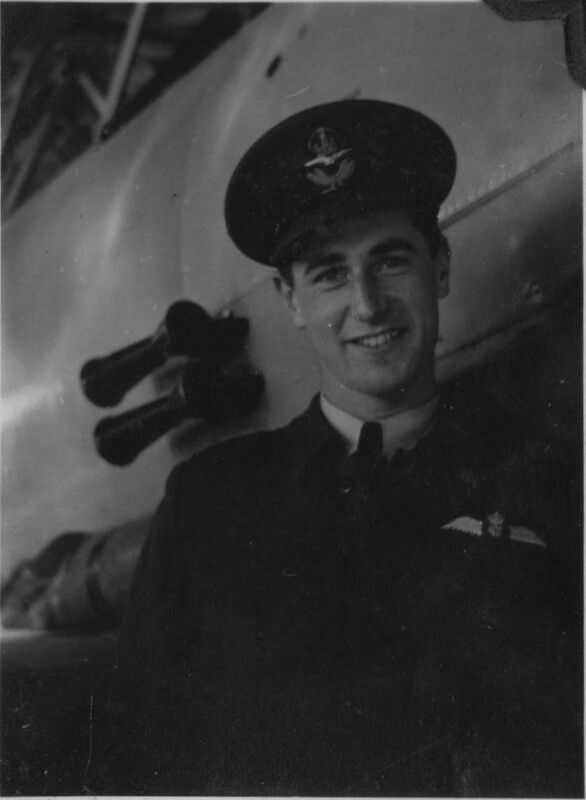 Flight Lieutenant Rose succeeded in regaining control and, displaying outstanding airmanship, flew the badly damaged aircraft to base. His skill, coolness and determination set an excellent example. Johnny Rose who was an instructor in Uplands became a Lancaster pilot. HOPKINS, F/L John Douglas (J5812) – Distinguished Flying Cross – No.113 Squadron – Award effective 20 December 1944 as per London Gazette dated 2 January 1945 and AFRO 471/45 dated 16 March 1945. Born in Orangeville, Ontario, 1919; home there. Was educated at the University of Toronto, ex-COTC. Enlisted in Toronto, 10 October 1941. Trained at No.1 ITS (graduated 27 January 1941), No.9 EFTS (graduated 17 March 1941) and No.2 SFTS (graduated 16 June 1941). Commissioned 1941. This officer has commanded his flight since February 1944. He has flown on a large number of sorties over Burma and India, often in adverse weather over mountainous and jungle-covered country. In the absence of the commanding officer he has led the squadron with conspicuous success, setting an inspiring example by his enthusiasm, courage and devotion to duty. 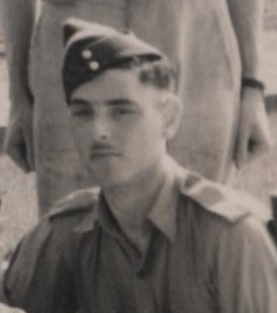 Flight Lieutenant John Douglas Hopkins was an instructor at No. 2 S.F.T.S. Uplands.